CAD Forum - Higher precision for facetted round surfaces in STL export from Inventor. Higher precision for facetted round surfaces in STL export from Inventor. In the stereolithografy file (.STL) generated from Inventor, the radial (round) surfaces and details are represented too roughly, facetted. How to increase their smoothness, precision - e.g. for 3D print? 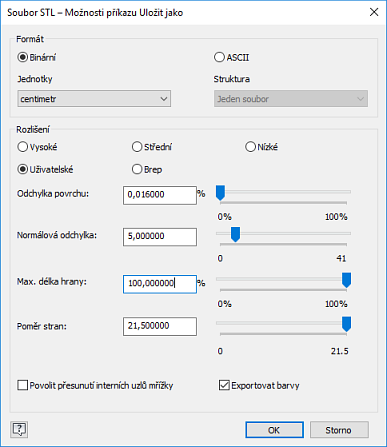 In the main dialog of the command "Save copy as" click the Options button and in the options dialog choose the resolution "High" or "Custom" and decrease the "Deviation" parameters. Surfaces will be then converted to STL format in higher precision. But the file size will be larger. 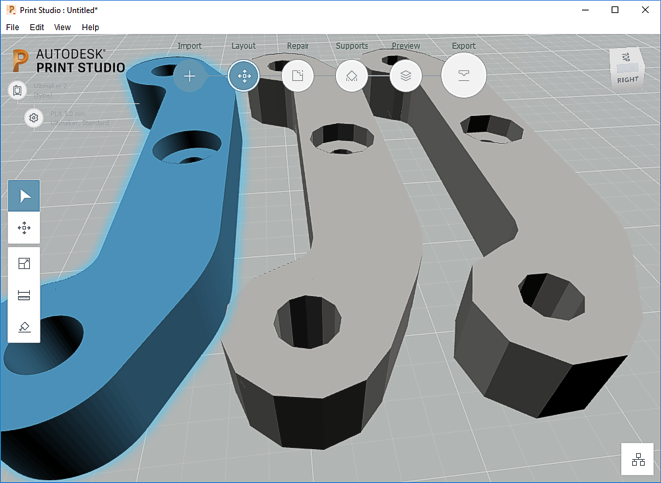 Tip 11972: How to convert a Tinkercad 3D model to a DWG file? Tip 11391: Which file formats to use to bring a 3D model into Paint 3D? Tip 10685: Which Autodesk products support 3D printing? How to convert 3D CAD model to the format glTF 2.0 (GLB)? « | » What is the difference between ThisDoc.Document and ThisApplication.ActiveDocument in iLogic?